A high quality travel mug that has a double walled build. Instantly discover the branding potential of these travel mugs. They have a capacity of 473mL with a double walled construction with stainless steel exterior and interior. They also feature a handle and a push on lock top lid. 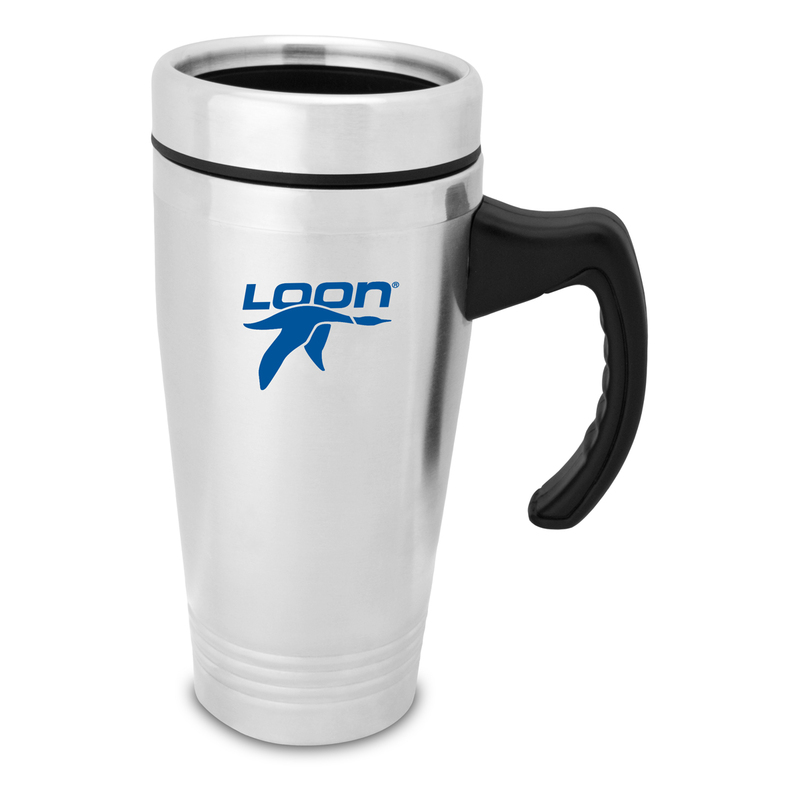 A great gift or promotional product idea that coffee drinkers will love! Comes individually packaged in a white box.